There are times when I am very stubron. My latest bout of stubbornness has involved me getting jump clones. Unlike the gentleman who roleplays and refuses to get a jump clone due to his role play reasons, I didn't wait around for my jump clone because I had a problem with them. I waited for it, becuase I didn't want to leave my corp. I like my time in corp number to reflect the reality of it. Since I did not think of joining Estel Arador Corp Services until after I joined THC2, I decided to hold out and wait to get an 8.0 standing with the corp that we run level 5 missions out of. It was a personal bit of stubbornness. However, I have around a million loyalty points sitting on Sugar and Chella. Buying implants at cost from the loyalty point stores keeps my cost down for the +4 implants. So far, I've been podded once with Sugar in her implants. She had +3's and some 3%'s in as well. I shrugged it off and plugged new ones in before I reshipped. Now that I have the standing for a jump clone, my lust has started to lean towards the pirate implants. I have been drooling in the background as people jump into their snake clone, and their slave clone, and their jackles, and halos, and crystals. Eventually, I will work up to +5's, but for now, the +4s are working for me. Implants are a personal choice and an expensive one. On one side, you do not need to implant them. On the other side, implanting them gives you access to different types of enhancements. Those are the little things that give a player an edge. Implants, however, are disposable stuffs. If you remove them from your clone, they are destroyed. If you are pod killed, they are destroyed. Jump Clones give you the ability to have several different clones with different attributes that you can move around into. However, if the pod goes pop there goes the billions invested in your head. The implant spectrum covers everything from pewpew to manufacturing, mining to movement and everything in between. There are useless implants that have no value and implants that are rediculiously expensive. The first time I lost a set of implants, I was in my third or so week of playing. I started in December and CCP gave out an implant as a gift for some reason. I started inside the window that the specialized implant was given away. I got mine and held onto it for a few weeks. I was vastly aware that I'd be killed and podded for breathing in Eve and I didn't want to waste it until I felt that I was more durable. After a while, I was convinced to put it in and use it to enhance my training. Training is time and time does not come back. I think I had it in for a week or two before I lost my first pod in low sec. I remember thinking that I was a bit unhappy with that situation and I felt a bit stupid for losing something so valuable. The Genolution CA-1 was a specialty implant given out and as well as the Genolution CA-2. 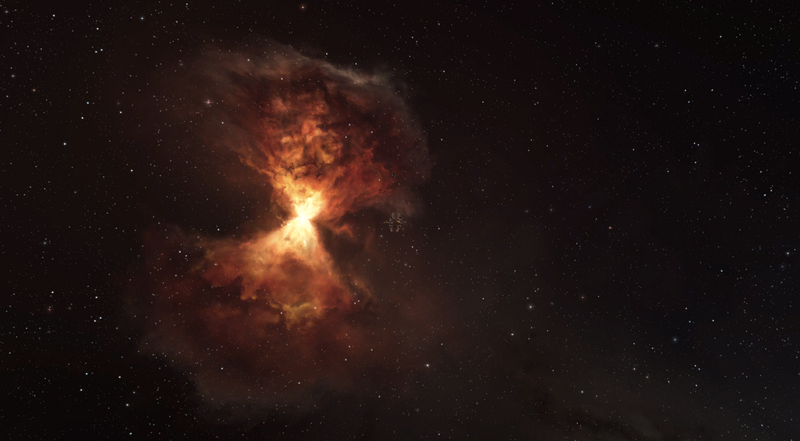 They were a set and like so many things CCP gives away, only as many as redeemed them entered the game. Together, teh two of them are worth about 100 million. So, that was my first loss. I was a bit disappointed to lose my enhancements. My pirates however stepped up and get me a full set of +3 implants. They were proud of me, I was told. I said, "Oh, I'm podded" and that was all. It took a few moments for it to catch up to them that I had just lost my POD running my salvage out of low sec. I had accepted that I might lose them from the moment I put them in. I was disappointed that I lost them so soon. The +3's I immediately plugged in. I also continued running my salvage mission in low sec, salvaging level 5's and hauling it out of low sec in my catalyst. I ran with those +3s until I could afford to upgrade to +4s. Maybe because of this, I discovered, and perhaps accepted, how disposable implants were, early. Therefor, when a rash of threads popped up over the eve forums about removing learning implants I was puzzled. Then I read a thread that I had a hard time beliving was serious, about a player who felt that learning implants had ruined his game. The TL;DR was that the implants made him so risk adverse that he could not play the game. His own in game item had paralyzed his enjoyment, due to the possibility of losing it. Losing the implants was not just about the cost, it was about the training time that would be lost to use a lesser or nonimplanted clone. The risk adversion was two fold. ISK loss + time loss. Letting go in Eve is not just about letting go of fear of losing a ship. It is letting go of obsessions like your skill point queue. If slowing your training down for 24 hours devastates you because you don't have the isk to risk losing the expensive set of implants you have, the entire process should be no different then losing a ship. Don't fly what you can't afford. The motto goes for more then the hull. It covers the mods, the cargo and the pod inside of all of it. Jump clones help to reduce that aversion. I understand not wanting to do a null sec roam in a high grade snake clone. That is why you have a cheaper clone to change into. You might be stuck under a timer and miss the one roam. I understand. Most people would. But when you are stuck, in station, permanently... there is a problem and a sad, sad situation all combined into one. To devil's advocate myself, I have to ask... can the loss of time be afforded? I can only hope that it can. If not, where is the pleasure? If skill queue's filling faster brings the satisfaction that is needed, I can only step back and accept another's enjoyment. But when one cries to the forum for someone to forcibly remove what they do not have the personal strength to put down, I would say that the loss of time could be afforded. Eve is structured not to let us have everything immediately. Even after time passes, you don't get it all at the same time with one person. This goes for implants as well. If you want training speed, you choose between safety and enjoying the game. 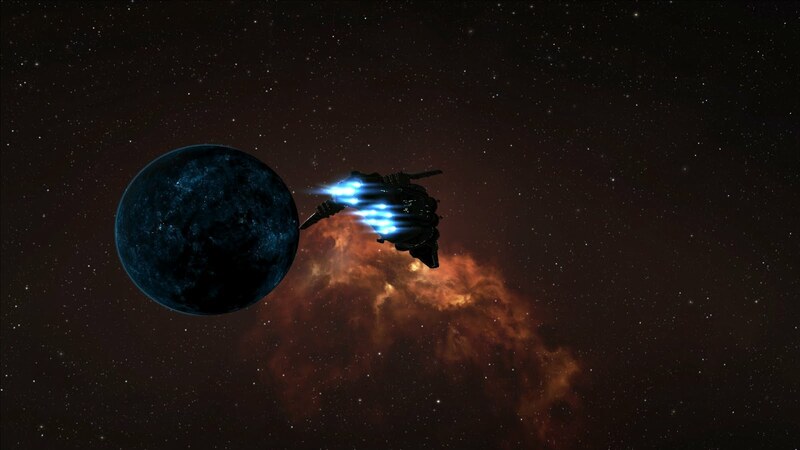 What I do not understand, is the cry for CCP to remove implants because the risk is to great for one player. It almost seems as if the balance is indeed there. No one said that it wasn't allowed to be a hard decision. But it is a decision that the player can make. The only one holding them hostage is themselves. Its the cost of choice. Actually there is a much cheaper way to avoid it: second account. It costs just 500M ISK/month, exactly the cost of a +5 set. You have a learning account who never undocks from the highsec station it lives, learning in perfect remap for the ship/task of your dreams. The active account is in the standard remap, +2 implants (full set is 10M) and fools around. I couldn't play the game if I couldn't undock for a year. I couldn't play the game if I couldn't fly a titan in a year. By having more than one accounts I can play without minding my implants and I'll have my titan in reasonable time. True and I did not touch on multiple accounts at all. Some find it to much work/money. And then, will they allow their second account to be short changed by the lack of skill points from lesser implants? Like ships don't undock what you can't afford to loose. I write off my implants pretty much the second I plug them in. Hell I have self-destructed pods with upto 100 millionish in implants in just because I preferred it over travelling a 100 jumps or so.